Window Tinting is not just for cars, here at Apex Tinting we also do both commercial and residential window tinting. We tint windows for any size business. Store fronts, government offices, large or small medical buildings, and all types of schools. Apex Tinting has years of experience in Window Tinting! We help building owners and managers with many common glass and window problems at their properties. 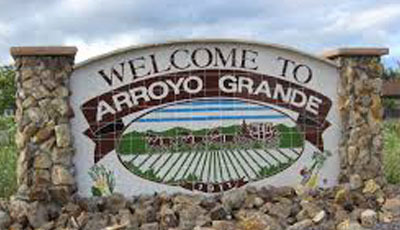 Glare, privacy and protection are among the benefits of commercial window tinting in Arroyo Grande. These days buildings tend to have more windows for natural light. This is attractive but it makes the interior of the building hotter. Not only is this an uncomfortable environment for customers or staff, it also increases energy costs, especially during the sunny summer months. When you have Apex Tinting install film to your problem windows, about 70% of solar heat is kept from entering. Also films will largely reduce glare which makes it easier for your people to see their computer screens, causing less eye strain and fewer errors. Many buildings will install blinds to stop the heat and glare instead of calling Apex. Blinds can work in some cases, but window film has many more advantages. Our professionally installed window film will not block the view and it stops heat before it enters your rooms! Windows can be a vulnerable part of any building. By adding security film to high-risk areas can actually slow down unwanted attempts at entry. It is true that nothing can completely stop an individual who wants to break in, but security window film can provide valuable time for help to arrive. We carry a wide variety of films for safety and security that range from 4 mil through 18 mil. Also Apex specializes in anchoring systems that will strengthen and bind security films. Graffiti Guard is another thing Apex can install. A lot like Security Film, it is a thick film that is typically applied to window exteriors that may be at risk of tagging damage. Tagged film, can be replaced at a much lower cost than replacing or resurfacing your windows. Large glass storefronts are perfect for showing customers products and having a view both into and from the store. But those large windows let in a lot of heat, not to mention the damage to merchandise that is caused by UV rays! Also the glare can make it less comfortable for customers and employees. Depending on the location of the store’s registers it can even make it difficult for staff to see them properly. Window tinting will not only reduce the glare, it will decrease interior heat, Your business A/C unit will not have to work as hard, helping you save money on energy bills – who doesn’t like that! Window tinting is a must-have for a lot of schools, medical and dental offices as well as many government buildings. Solar film can make a big difference in comfort and save energy in all sorts of buildings, but these type of locations also need more in the way of security and privacy. Apex window tinting films are a great solution. Privacy is always a concern at schools, government offices, and dental & medical offices. There are sensitive materials to consider and patient privacy issues. Students and staff shouldn’t feel exposed to onlookers, but they should have an unobstructed view out. Apex has an wide assortment of window films to address these concerns. We have frost, opaque, decorative and one-way film options. Each one fills a specific need and we will help determine which one is the best solution! Apex also offers Residential Tinting options for your home!